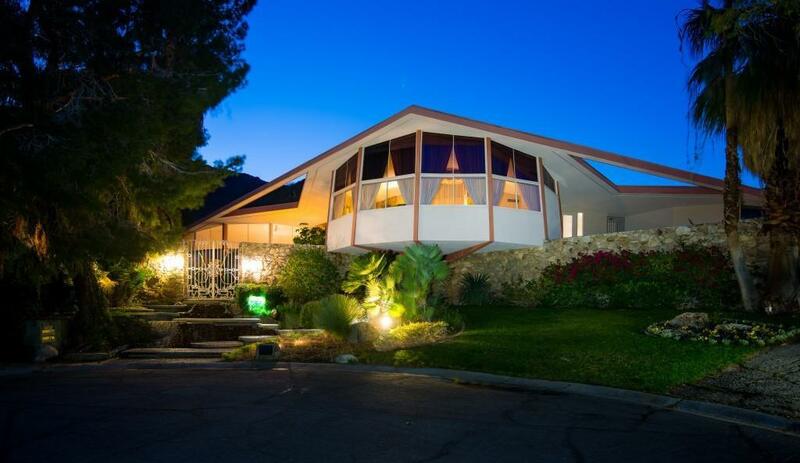 Yes, we know it’s an iconic multi-million-dollar home in Palm Springs, but what’s not to love about The House of Tomorrow aka Elvis Presley’s Honeymoon Hideaway? The ‘space age’ house was reportedly on the market in 2015 for a cool US$7million, which means there probably won’t be enough in the piggybank if you wanted your own version, but we’re so inspired by the way this house works. Social? You bet it is. Comfortable? Sure is. Different? Oh yes! We love social, comfortable and different here at Residential Attitudes (you could say it’s rock ‘n’ roll music to our ears) so it’s not surprising The King’s honeymoon pad gets our hearts racing. 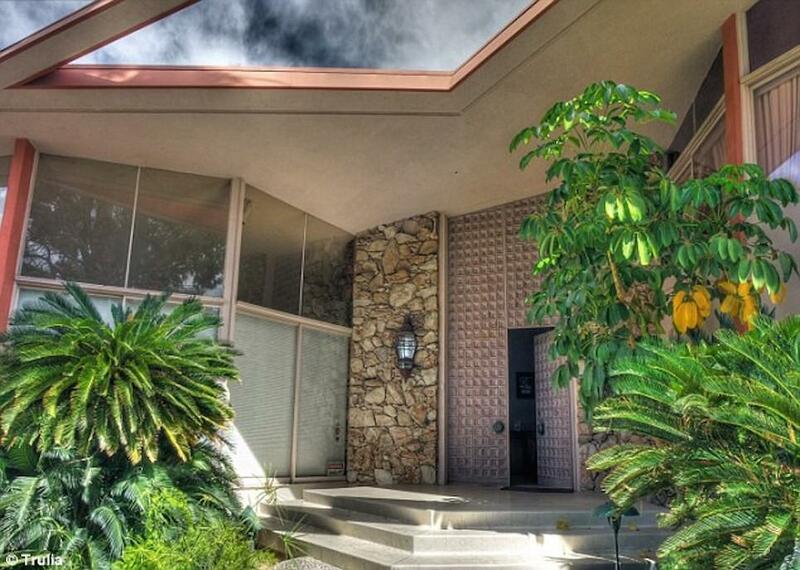 Prolific Palm Springs developer Robert Alexander built the four-bedroom, five-bathroom house at 1350 Ladera Circle for his family in 1960, designing it as four perfect concentric circles, on three separate levels. Apparently there isn’t a square room in the house. How’s that for different? And look no further than this outstanding example of Mid Century Modern architecture if you want to see indoor/outdoor living in action. With its ‘peanut brittle’ stonework inside and out and walls of glass, it enjoys spectacular panoramic views of the San Jacinto Mountains in one direction, and in another it opens up to a dazzling pool and pool deck perfect for parties and weekend soirees. No doubt that pool deck was the scene of many a glamorous gathering after Elvis handed over the princely sum of US$21,000 in September 1966 to lease the house for a year. He made the decision on the advice of his manager, Colonel Tom Parker, who lived in the neighbourhood and thought the house would be the perfect place for Elvis to relax, entertain friends and escape from Hollywood. How right he was. Big enough to host 180 people, the home boasted a giant lounge with a built-in 20m couch, an open-plan dining and living space with an indoor fire pit, and a kitchen with a radical stove-top island bench. There was also a den and rock-star master suite, all set in secluded grounds that included a fruit orchard, a private garden and a tennis court. The large pool even featured a stage. In May 1967, plans to hold the Presley wedding by the pool were scuppered when the press got wind of the forthcoming nuptials and quickly descended on 1350 Ladera Circle. To avoid the media onslaught, Elvis and Priscilla slipped out the back door, took a limo to the airport and hopped in Frank Sinatra’s Lear Jet. They headed to Vegas to tie the knot, returning to their Palm Springs hideaway that night to begin their honeymoon. Daughter Lisa Marie Presley was born nine months later. Cute. In the 1990s, the house was restored to its original 1960s splendour and tours are now held daily. Elvis may have left the building, but we love that this inspirational home still showcases the cutting-edge character and ‘liveability’ that originally attracted the rock ‘n’ roll legend.